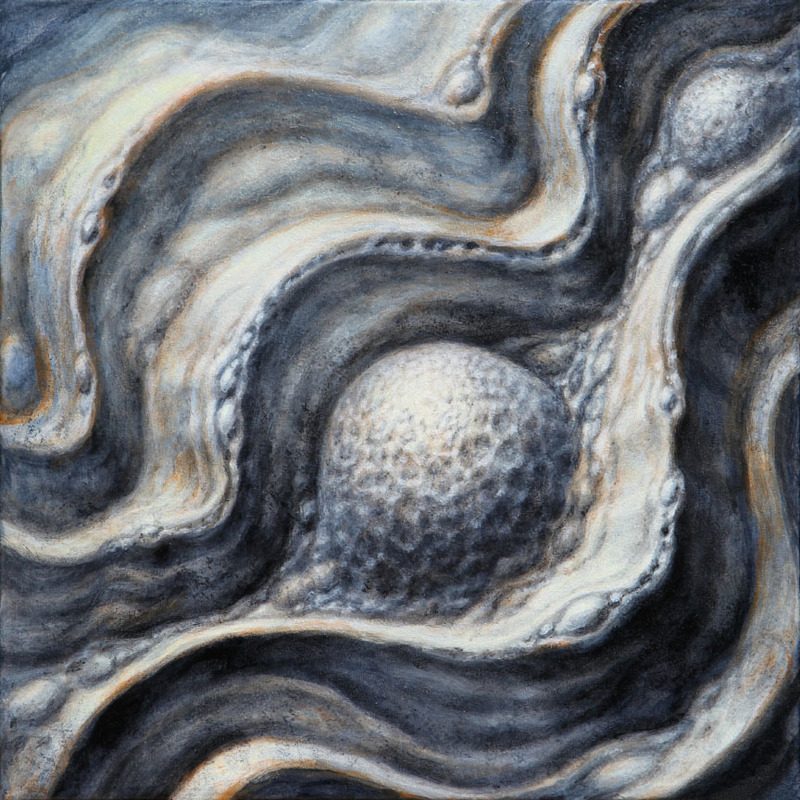 Surface & Space Exhibition Now In Massachusetts! As some of you may know, I had my first major art gallery appearance in many years this past July at Sacred Gallery New York, sharing the room with fellow artist Adam France in our joint exhibition Surface & Space. For anyone who was not able to make it, most of the pieces are now on display at the brand new Off The Map Gallery in Easthampton, Massachusetts, attached to the gigantic new Off The Map tattoo studios. We will be having an opening reception this coming Friday October 8, in conjunction with the local Artwalk event. For those of you already in the area or visiting town for a tattoo or any other reason, this should be a fun party; Adam and I can't be there in person, but will be attending via Skype and will be taking questions from gallery guests. It's a chance to see these pieces in person before they are shipped off to their new homes. A few of the originals are still available, plus I am offering a limited edition print of one of the pieces, Surface 1, which will only be available until this coming Sunday, October 9 at midnight. 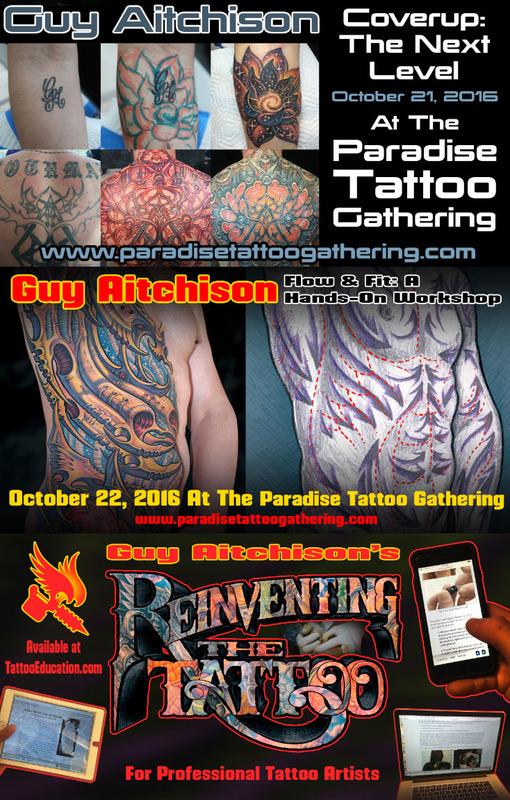 I also wanted to remind you of the Paradise Tattoo Gathering later this month, October 20-23, also in Massachusetts in the beautiful alpine setting of the Jiminy Peak resort. The event features a whole list of seminars by a variety of artists, including two courses by me: the first one, Coverup: The Next Level, is a follow-up on the coverup seminar I held last fall at the WorldWide Tattoo Conference in Portland, Oregon. This time though I'm featuring all new material, including work by a variety of different artists, plus I'm asking participants to bring photos of their own coverup challenges to discuss on the big screen. The other class, Flow & Fit: A Hands-On Workshop, is a series of short lectures on the theory behind making attractive work that fits the human form, with exercises between each lecture so that participants can put that theory into practice while it's fresh on their minds. We are also offering a package deal- sign up for both courses and you can get a subscription to Reinventing The Tattoo for 50% off! If you are already a member, you can apply this offer toward a gift subscription, or toward renewing your own membership. We also carry weekend and day passes to the Paradise Tattoo Gathering, which are needed in order to attend any seminars.